SCHAFFHAUSEN, Switzerland – February 2, 2016 – TE Connectivity Ltd. (NYSE: TEL), a world leader in connectivity and sensors, announced today that it has entered into a definitive agreement to acquire the Creganna Medical group for USD $895 million in an all cash transaction. Creganna Medical is a global leader that designs and manufactures minimally invasive delivery and access devices serving medical device original equipment manufacturers (OEMs). The company, headquartered in Ireland, reported sales of approximately $250 million in 2015 and is a portfolio company of Permira Funds. “The acquisition of Creganna Medical is part of our well-established strategy to expand our leadership position in harsh environment applications,” said TE Connectivity Chairman and CEO Tom Lynch. “This transaction builds on our AdvancedCath acquisition and establishes TE as a leading supplier to the high-growth minimally invasive interventional segment. Our existing medical product offering, coupled with these acquisitions, positions TE with the broadest range of products and technologies serving this high-growth space. Upon completion of the transaction, the business will be reported as part of TE’s Industrial Solutions segment. Expands TE’s harsh environment platform: Strengthens TE’s global leadership position in critical harsh environment applications where quality, reliability and performance must withstand extreme conditions and failure is not an option. Creganna Medical brings expertise in minimally invasive medical procedures used in cardiovascular, neurovascular and other life-saving treatments and procedures. Establishes TE as a leader in an attractive segment of the medical device market: Establishes TE as a leading provider of minimally invasive integrated solutions in the attractive interventional segment which has an estimated compound annual growth rate of 7 percent and strong margins. Interventional products are growing globally due to strong underlying trends that include an aging population, the expanding use of advanced technology and procedures that improve patient outcomes, the need for more cost-efficient procedures in the healthcare industry, and the increasing adoption and use of minimally invasive procedures in place of traditional surgery. Complements TE’s product portfolio, manufacturing capabilities and engineering expertise: With highly complementary products, the combination of TE and Creganna Medical will offer customers an unmatched set of integrated solutions in the interventional segment of the medical device market. With the addition of six state-of-the art facilities in locations important to industry-leading customers, Creganna Medical strengthens TE’s global presence. The combination adds more than 225 product development engineers, more than doubling the number of TE engineers dedicated to the medical segment. Creganna Medical’s engineers will be joining TE’s 7,000 engineers, building on TE’s expertise in highly engineered solutions that require deep application know-how. The company expects $0.03 accretion to TE’s adjusted EPS in the first full fiscal year. The company expects the transaction to boost revenue growth and EBITDA margins. The transaction is subject to the receipt of certain regulatory approvals and is expected to close in the third quarter of fiscal year 2016. The transaction will be financed through cash and debt. TE’s financial advisor was Morgan Stanley & Co. LLC and outside counsel was Davis Polk & Wardwell LLP. The company will hold a conference call for investors today at 9:00 a.m. ET. The call can be accessed as follows. In the United States, dial 800-230-1059; International: 612-234-9959. 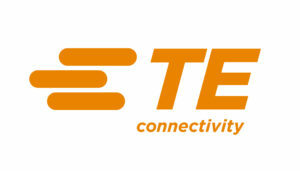 Internet users will be able to access the company’s webcast, including slide materials, at the “Investors” section of TE Connectivity’s website at http://investors.te.com/. An audio replay of the conference call will be available beginning at 11:00 a.m. ET on February 2, 2016, and ending on February 9, 2016. The dial-in number for participants in the U.S. is 800-475-6701. For participants outside the U.S., the replay dial-in is 320-365-3844, access code: 385602. For more information on TE Connectivity’s expertise in the medical device market please visit our website. To learn more about Creganna Medical’s products, view www.creganna.com. The forecasted Adjusted EPS accretion amount that is set forth in this release is a non-GAAP measure and should not be considered a replacement for GAAP results. With regard to this forward-looking forecasted non-GAAP financial measure, reconciliation to the applicable forward-looking forecasted GAAP financial measure is not provided because it is not available without unreasonable effort. EBITDA and EBITDA Margin – represent net income and net income as a percentage of net sales (the most comparable GAAP measures) before interest expense, interest income, income taxes, depreciation, and amortization. EBITDA and EBITDA Margin are not intended to represent our results of operations in accordance with GAAP and should not be considered substitutes for net income or net income as a percentage of net sales or any other operating measure prepared in accordance with GAAP. This release contains certain “forward-looking statements” within the meaning of the U.S. Private Securities Litigation Reform Act of 1995. These statements are based on management’s current expectations and are subject to risks, uncertainty and changes in circumstances, which may cause actual results, performance, financial condition or achievements to differ materially from anticipated results, performance, financial condition or achievements. All statements contained herein that are not clearly historical in nature are forward-looking and the words “anticipate,” “believe,” “expect,” “estimate,” “plan,” and similar expressions are generally intended to identify forward-looking statements. We have no intention and are under no obligation to update or alter (and expressly disclaim any such intention or obligation to do so) our forward-looking statements whether as a result of new information, future events or otherwise, except to the extent required by law. The forward-looking statements in this release include statements addressing our future financial condition and operating results; our ability to fund and consummate the transaction, including the receipt of regulatory approvals; and our ability to realize projected financial impacts of and to integrate the acquisition. Examples of factors that could cause actual results to differ materially from those described in the forward-looking statements include, among others, business, economic, competitive and regulatory risks, such as conditions affecting demand for products, particularly in the automotive, medical device and data and devices industries; competition and pricing pressure; fluctuations in foreign currency exchange rates and commodity prices; natural disasters and political, economic and military instability in countries in which we operate; developments in the credit markets; future goodwill impairment; compliance with current and future environmental and other laws and regulations; the possible effects on us of changes in tax laws, tax treaties and other legislation; the risk that the transaction may not be consummated; the risk that a regulatory approval that may be required for the transaction is not obtained or is obtained subject to conditions that are not anticipated; the risk that Creganna Medical’s operations will not be successfully integrated into ours; and the risk that revenue opportunities, cost savings and other anticipated synergies from the transaction may not be fully realized or may take longer to realize than expected. More detailed information about these and other factors is set forth in TE Connectivity Ltd.’s Annual Report on Form 10-K for the fiscal year ended Sept. 25, 2015 as well as in our Quarterly Reports on Form 10-Q, Current Reports on Form 8-K, and other reports filed by us with the U.S. Securities and Exchange Commission.